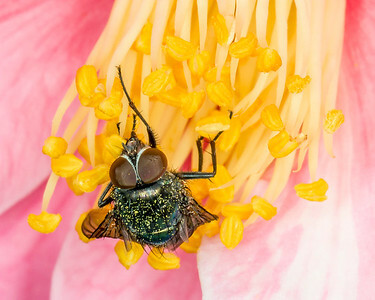 Photographs that feature an insect, butterfly, or spider as a major feature. 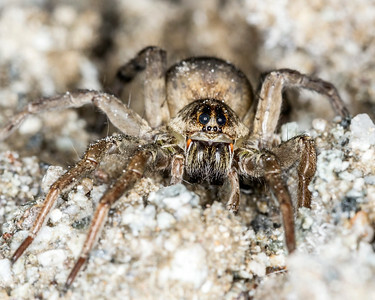 Perhaps the most distinguishing feature of the wolf spider is the large eyes. I took this photo after finding him out hunting in the middle of the night. The beam of my headlight had passed over him, and the light reflected off his eyes and back to me, allowing me to easily find him in a dark environment. 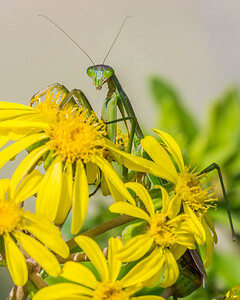 They use their large eyes and impressive eyesight to hunt small insects. Available in the following sizes (Rectangle A): 10x8, 14x11, 20x16, 24x20, 30x24. The Butterfly Pavilion, in Westminster, Colorado, is home to over 5000 animals, and is just about the best place in the world to hang out, up close, with more butterflies than you could otherwise ever hope to see. The guy in this photo is a mormon butterfly. Available in the following sizes (Rectangle B): 12x8, 18x12, 24x16, 30x20, 36x24, 45x30. 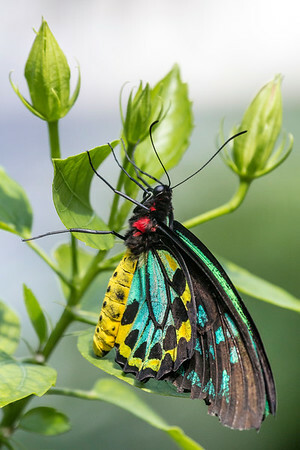 The Butterfly Pavilion, in Westminster, Colorado, is home to over 5000 animals, and is just about the best place in the world to hang out, up close, with more butterflies than you could otherwise ever hope to see. 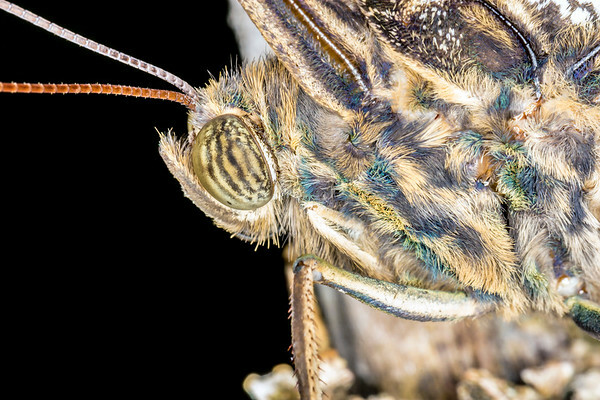 The guy in this photo is a owl butterfly. Available in the following sizes (Rectangle B): 12x8, 18x12, 24x16, 30x20, 36x24, 45x30. 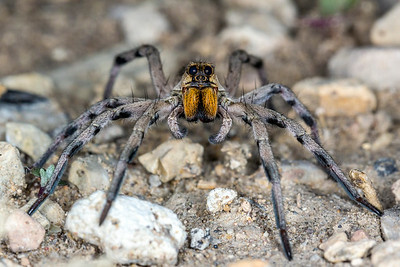 Perhaps the most distinguishing feature of the wolf spider is the large eyes. I took this photo after finding him in the middle of the night. The beam of my headlight had passed over him, and the light reflected off his eyes and back to me, allowing me to easily find him in a dark environment. 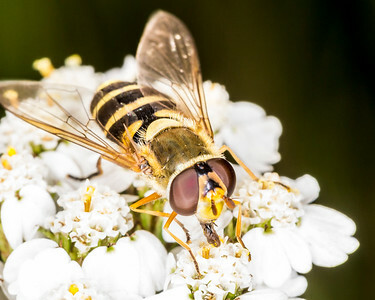 They use their large eyes and impressive eyesight to hunt small insects. Available in the following sizes (Rectangle B): 12x8, 18x12, 24x16, 30x20. 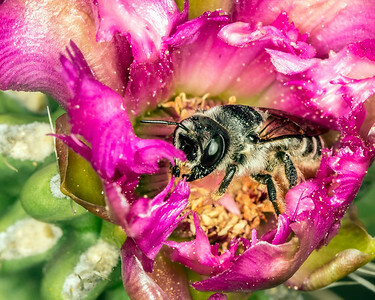 When I first took this photo, in Natchez National Historical Park, in Natchez, Mississippi, I zoomed in on my camera's viewfinder and was surprised and a bit confused by the yellow spheres stuck all over the bee. I then took a macro (close-up) photo of a nearby flower, and found that the pollen covering the flower was identical in shape and color. Guess I solved that mystery! Available in the following sizes (Rectangle A): 10x8, 14x11, 20x16, 24x20. 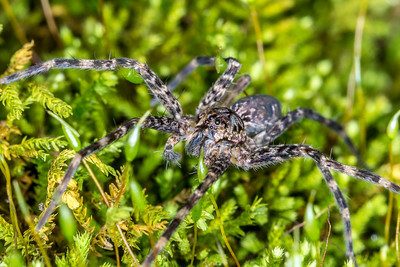 Reaching up to two inches in size, wolf spiders are one of the more frightening looking spiders in the United States, and while they are poisonous, they're also not aggressive, so one doesn't really need to worry about being bitten unless you are doing something silly – like deliberately provoking one. 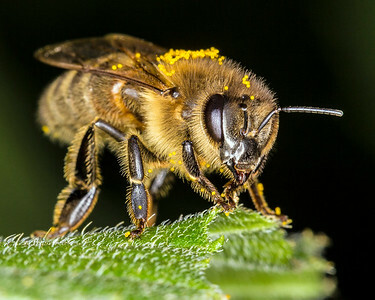 They live all over, and I frequently find them at night, which is when they do most of their hunting. If you walk around with a headlamp or flashlight, you may see little gem-like reflections on the ground. Upon closer inspection, you may find a wolf spider. The reflection is from their oversized eyes. Available in the following sizes (Rectangle B): 12x8, 18x12, 24x16, 30x20, 36x24. 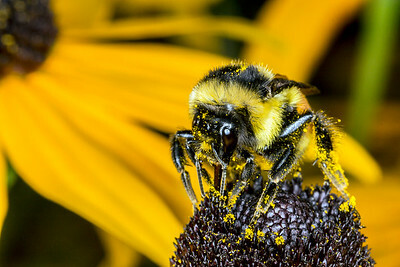 A bee collecting pollen on a yellow flower on Prince Edward Island. Available in the following sizes: (Rectangle B) 12x8, 18x12, 24x16, 30x20, 36x24. 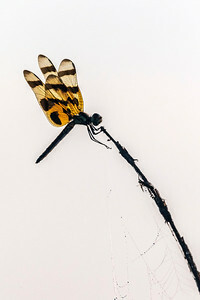 A small, blue dragonfly resting on the stalk of a flower. Available in the following sizes (Rectangle A): 8x10, 11x14, 16x20, 20x24, 24x30. 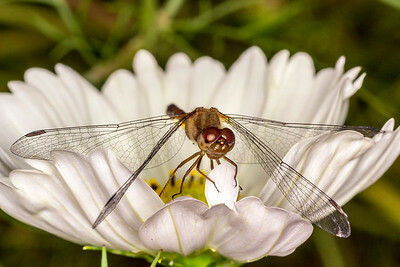 A dragonfly perched on a white flower. Available in the following sizes (Rectangle B): 12x8, 18x12, 24x16, 30x20, 36x24. The Butterfly Pavilion, in Westminster, Colorado, is home to over 5000 animals, and is just about the best place in the world to hang out, up close, with more butterflies than you could otherwise ever hope to see. 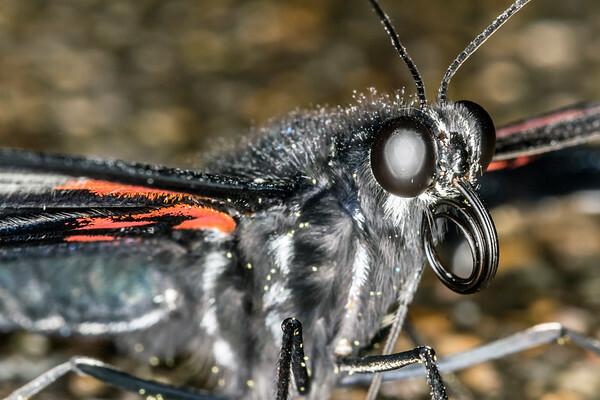 The guy in this photo is a tiger longwing. Available in the following sizes (Rectangle A): 10x8, 14x11, 20x16, 24x20, 30x24. The Butterfly Pavilion, in Westminster, Colorado, is home to over 5000 animals, and is just about the best place in the world to hang out, up close, with more butterflies than you could otherwise ever hope to see. The guy in this photo is a green birdwing. Available in the following sizes (Rectangle B): 8x12, 12x18, 16x24, 20x30, 24x36. 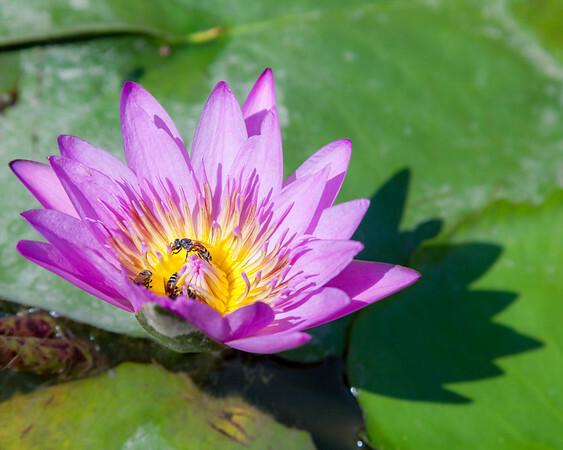 Bees gathering nectar from a lotus found in a pond in the middle of bustling Bangkok. Available in the following sizes (Rectangle A): 10x8, 14x11, 20x16, 24x20, 30x24.